18 Commonwealth is located on the south side of Commonwealth, between Arlington and Berkeley, with 16 Commonwealth to the east and 20 Commonwealth to the west. 18 Commonwealth was built ca. 1864 for Lydia (Gray) Ward, the widow of Thomas Wren Ward, as the home of her son-in-law and daughter, merchant Charles Hazen Dorr and Mary Gray (Ward) Dorr. They previously had lived in Jamaica Plain. Lydia Ward lived next door, at 20 Commonwealth, and her son and daughter-in-law, Samuel Gray Ward and Anna Hazard (Barker) Ward, lived at 1 Commonwealth. Charles Hazen Dorr’s brother-in-law and sister, Henry Edwards and Martha Ann (Dorr) Edwards, lived at 34 Commonwealth. Lydia Ward purchased the land on which 18 Commonwealth was built on June 19, 1863, from Charles Woodbury. He had purchased the lot the same day from real estate dealers Henry Whitwell and Samuel Horatio Whitwell. The lot originally had a frontage of 20 feet and, before selling it to Lydia Ward, Charles Woodbury subtracted a one foot strip on the eastern side to add to other land he already owned, where he then built 16 Commonwealth as his home. The lot was part of a larger parcel of land Henry Whitwell had purchased from the Commonwealth of Massachusetts on May 2, 1860. Click here for an index to the deeds for 18 Commonwealth. 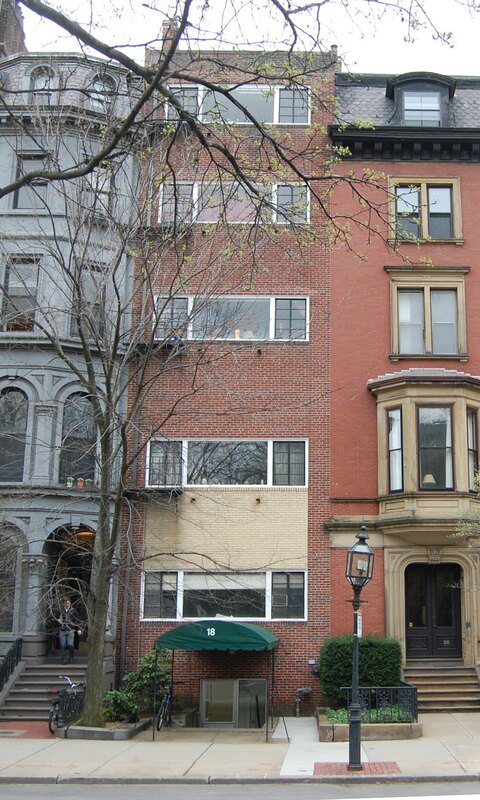 From photographs taken before it was drastically remodeled, it appears that 18 Commonwealth was designed to provide a transition between 16 Commonwealth, built about the same time, and the earlier buildings at 20-36 Commonwealth. The entrance of 18 Commonwealth was identical to those of 20-36 Commonwealth, as was the fenestration. However, the building surface appears to have been brownstone, like 16 Commonwealth, rather than brick, like 20-36 Commonwealth. The dormer window in the mansard is of a different style from either of its neighbors. In 1878-1880, the Dorrs built a home, Old Farm, on Mount Desert Island in Maine. The Dorrs continued to live at 18 Commonwealth during the 1881-1882 winter season, but lived elsewhere for the next few years. By the 1882-1883 winter season, 18 Commonwealth Charles Bean Parkinson and his wife, Sarah Evalina (Brinckerhoff) Parkinson. They continued to live there during the 1883-1884 season, but moved to 74 Mt. Vernon soon thereafter. During the 1884-1885 winter season, it was the home of Walter Potter, a banker and dealer in commercial paper, and his wife, Helen (Fogg) Potter. They previously had lived at 36 Commonwealth. They had moved to the Hotel Vendôme by 1886. The Dorrs were once again living at 18 Commonwealth by the 1885-1886 winter season, and continued to live there in 1891. During the 1891-1892 winter season, they were again living elsewhere and 18 Commonwealth was the home of merchandise broker Nathaniel Perez Hamlen, a widower. He previously had lived in Brookline. 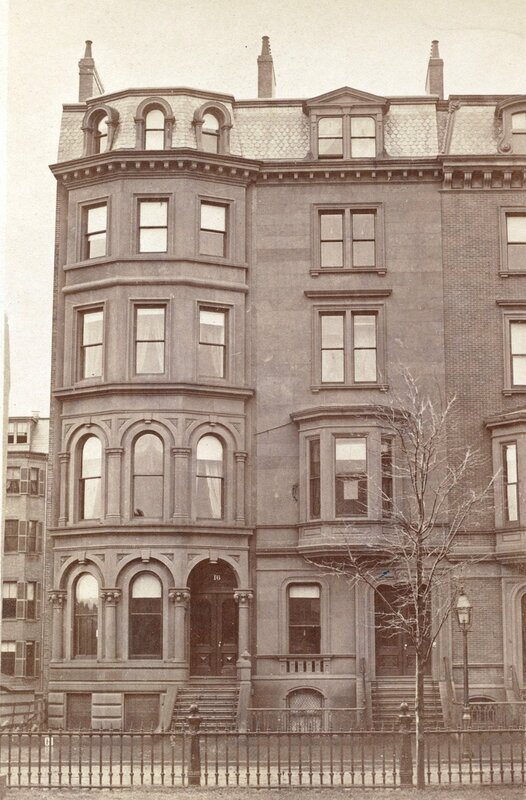 He continued to live at 18 Commonwealth during the 1892-1893 season, but had moved to 108 Beacon by 1894. Charles Dorr died in January of 1893. Mary Dorr continued to live at 18 Commonwealth with their unmarried son, George Buckman Dorr. They also continued to maintain their home on Mt. Desert. On February 7, 1895, Mary Dorr transferred the property to herself for the remainder of her life, and then to her son, George. Mary Dorr died in October of 1901. 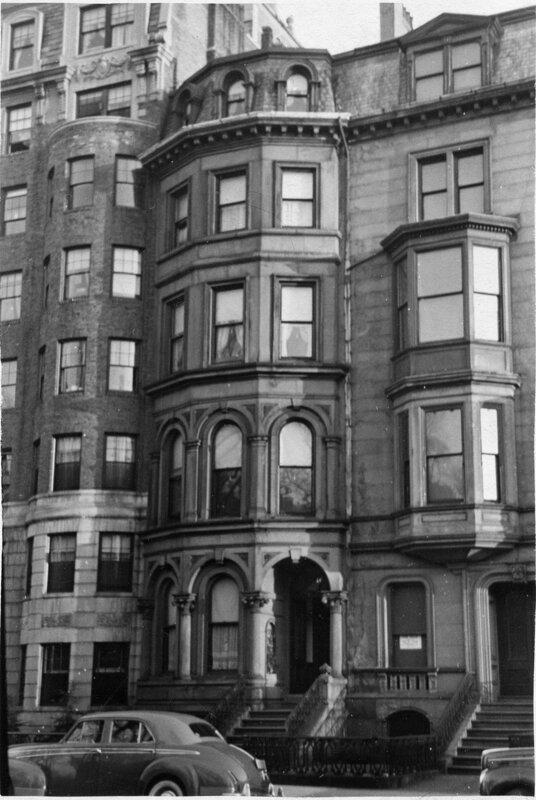 George Dorr continued to live at 18 Commonwealth. George Dorr was founder of the Hancock County Trustees of Public Reservations in Maine, which facilitated formation of Acadia National Park. He continued to live at 18 Commonwealth during the 1915-1916 winter season, but moved thereafter. The house was not listed in the 1917 and 1918 Blue Books. On June 18, 1918, 18 Commonwealth was acquired from George Dorr by real estate dealer William J. Stober. On August 18, 1918, it was acquired from William Stober by Carrie Homer (Clark) Winslow, the wife of real estate and insurance broker Herbert Freeman Winslow. They previously had lived in Beverly. They also maintained a home in Chatham and later in Harwich. In June of 1918, in anticipation of finalizing the purchase of 18 Commonwealth, Herbert Winslow had filed for (and subsequently received) permission to remodel the interior of the house, including installing an elevator. Plans for the remodeling, including “before and after” floor plans, are included in the City of Boston Blueprints Collection in the Boston Public Library’s Arts Department (reference BIN M-7). On May of 1920, he filed for (and subsequently received) permission to add a new oriel window on the third floor, above the original oriel window on the second floor. In both cases, the remodeling was designed by architect Henry Bailey Alden. 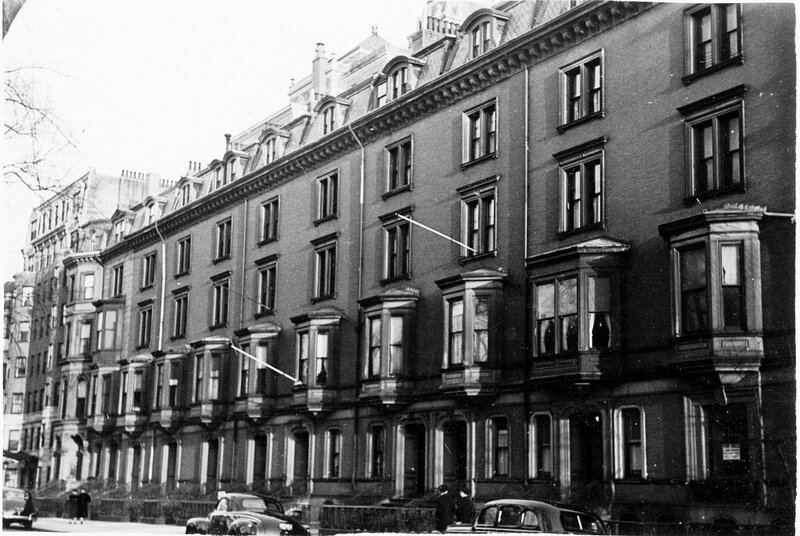 The Winslows continued to live at 18 Commonwealth until about 1934, but thereafter made Chatham their principal residence. 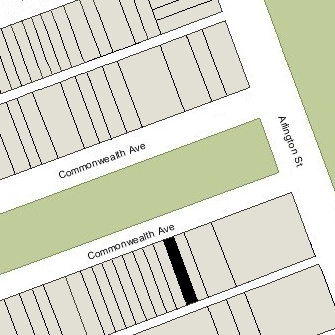 18 Commonwealth was not listed in the 1930-1937 Blue Books, and was shown as vacant in the 1935-1942 City Directories. By 1941, Herbert and Carrie Winslow lived in an apartment at the Hotel Fensgate at 534 Beacon. He died there in May of 1941, and on May 15, 1942, Carrie Winslow sold 18 Commonwealth to real estate dealer Ray C. Johnson. On August 12, 1942, 18 Commonwealth was purchased from Ray C. Johnson by Sarah (Adelson) Levitan, the widow of wholesale jeweler Hyman Levitan (who had died in May of 1942). She lived at 10 Paxton in Dorchester. That same month, she applied for (and subsequently received) permission to convert 18 Commonwealth from a single-family dwelling into a lodging house. On August 21, 1942, Sarah Levitan transferred 18 Commonwealth to her son, Saul Bernhardt Levitan, also a jeweler. He lived with his parents in Dorchester. The transfer, while dated in 1942, was not recorded until August 2, 1945, and Sarah Levitan remained the assessed owner through 1945. By 1943, 18 Commonwealth was the home of Mrs. Doris Stowe (Wilder) Spear, the former wife of Bennett Palmer Spear. She operated it as a lodging house. She previously had lived at 83 Marlborough, where she also had operated a lodging house (and continued to do so after moving to 18 Commonwealth). In April of 1943, Saul Levitan married Doris Spear. After their marriage, they lived in Newton. She continued to operate the lodging houses at 18 Commonwealth and 83 Marlborough under the name Doris S. Spear. In December of 1946, Saul Levitan filed for (and subsequently received) permission to add an owner’s apartment on the fourth and fifth floors, including enlarging the windows on both floors. It appears likely that it was at this time that the front façade was remodeled to remove the front oriel and otherwise “modernize” the building. The remodeling was designed by architect Carroll H. Tiffany. After the remodeling was completed, Saul and Doris Levitan may have moved to the newly-created owner’s apartment. On September 3, 1948, Saul Levitan transferred 18 Commonwealth to Charlotte D. Seifer, a lawyer, and on November 28, 1949, she transferred it back to him. Saul and Doris Levitan separated at about this time, and it appears likely that the transfer was in connection with their divorce. By 1949, Doris Spear Levitan was living at 183 Beacon, and by 1951, Saul Levitan was living at 197 Marlborough. In 1952, he married again, to Mrs. Eleanore Helen (Hirsch) Mitnick, the former wife of Louis Mitnick. In March of 1952, Saul Levitan filed for (and subsequently received) permission to convert 18 Commonwealth into eleven apartments. Saul Levitan died in October of 1953. 18 Commonwealth continued to be held by his estate until June 20, 1957, when it was acquired by Phil David Fine. 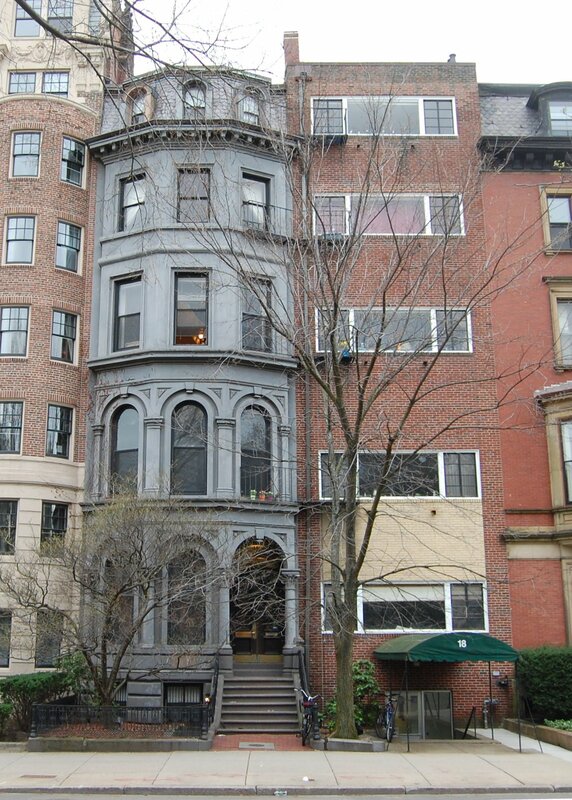 18 Commonwealth subsequently changed hands and on April 11, 1969, was purchased by real estate dealer George P. Demeter and Nelson J. Sarris, as trustees of the 18 Commonwealth Avenue Realty Trust. On August 4, 2001, the trust transferred the property to the Commonwealth Realty Associates Limited Partnership, formed by George P. Demeter and Nelson J. Sarris. 18 Commonwealth remained an apartment building in 2015.